Gionee India with the launch of its latest smartphone S10 Lite, strengthen its leadership on the ‘selfie trend.’ With continuous hard work to gratify the customer’s preferences by presenting them ultimate selfie and battery competencies in their smartphone, Gionee has declared the availability of S10 Lite across all retail stores in India at a cost of INR 15,999 from 23rd December 2017. S10 is packed with the finest in class features, it differentiates itself with a professional 16MP selfie camera that outshines in diverse modes like group selfie and bokeh selfie. It is also Embedded with 3100mAh battery and lightning fast fingerprint sensor. The device is supported by a strong Qualcomm Snapdragon Mobile Platform – Quad-core 1.4GHz that boosts the photo taking the experience with outstanding computing power. 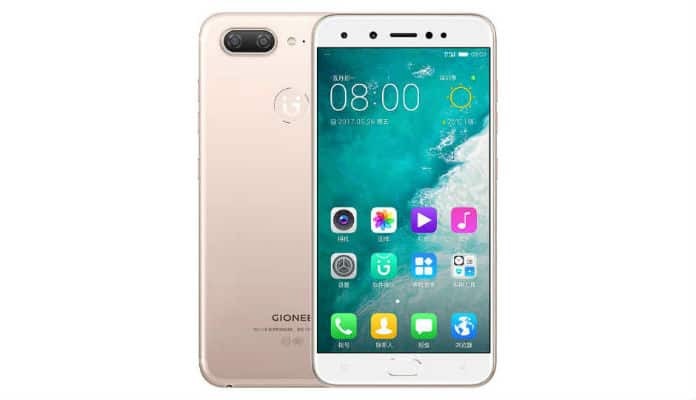 Backed by Gionee Amigo 4.0, developed on the basis of Android™ 7.1, the device promises upgraded user experience powered by the intelligent management system. S10 Lite has a WhatsApp clone feature that allows users to create three WhatsApp accounts, allowing them to discriminate their personal and professional life. The device allows a user to split screen, making it possible to juggle different activities on one screen at one time. Gionee India has also joined hands with PayTm and Jio to announce an exciting offer with this launch. Every purchase of S10 Lite will come with 2 PayTM Cashback Voucher Codes entitling customers with INR 250 cash back on a base buy of INR 350 from PayTM Mall. New or existing Jio Customers who purchase S10 Lite will get 5 GB data each month for a period of 10 months on any data recharge of INR 309 and above. S10 Lite continues to focus on exceptional selfie performance with the bokeh and group selfies, featuring a 16MP front camera along with a customized selfie flash to spread light onto faces more evenly and softly. Gionee’s independent facial enhancement algorithm automatically detects a user’s face and applies custom beauty settings. Powered by 4-cell technology, the front camera captures more light than before resulting clearer and more beautiful selfie. The S10 Lite offers longer battery life and seamless user experience thanks to an integrated software and hardware solution. Powered by a 3100 mAh battery, users can enjoy uninterrupted usage regardless of web browsing, reading or even consuming video content. The seamless interplay between hardware and software allows Gionee S10 Lite to offer an optimized smartphone experience. The S10 Lite runs on a Quad-core 1.4GHz processor gives a better performance and a less power consumption. Powered by a 4GB RAM, the S10 Lite enables smooth multitasking and easy operation, while 4GB+32GB internal storage (Expandable up to 256GB) provides ample storage space. Gionee Introduces S10 Lite 0 out of 5 based on 0 ratings. 0 user reviews.